The GRIP members discuss the challenge faced by AMR around the world in 2016 and how collaboration amongst professional societies and healthcare professionals can make a difference. Interview with Professor Roman Kozlov, Director of the Institute of Antimicrobial Chemotherapy at the Smolensk State Medical Academy, on how the number of new antibiotics entering the market is falling and the importance of raising public awareness of appropriate antibiotic use. Interview with Professor Roman Kozlov, Director of the Institute of Antimicrobial Chemotherapy at the Smolensk State Medical Academy, discussing the collaborative efforts between institutions to reduce AMR. Interview with Dr Aurelio Sessa, Family Physician and Senior Partner in Arcistate, Italy, discussing the need for doctors and pharmacists to recommend symptomatic relief to patients with URTI infections. Interview with Dr Aurelio Sessa, Family Physician and Senior Partner in Arcistate, Italy, emphasising the importance of discussions between physicians, pharmacists and patients in the fight agaisnt Antimicrobial resistance. Interview with Dr Alike van der Velden, Assistant Professor at the University Medical Center Utrecht, Netherlands, highlighting that the majority of URTIs are caused by viruses and should be managed using symptomatic relief, not antibiotics. 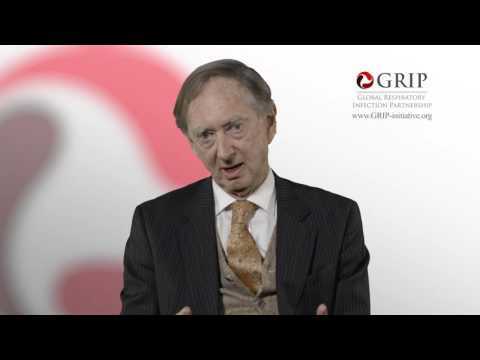 Interview with Professor John Oxford, Emeritus Professor of Virology at St Bartholomew's and the Royal London Hospital, UK, discussing the advantages of working in a group of experts with different backgrounds. 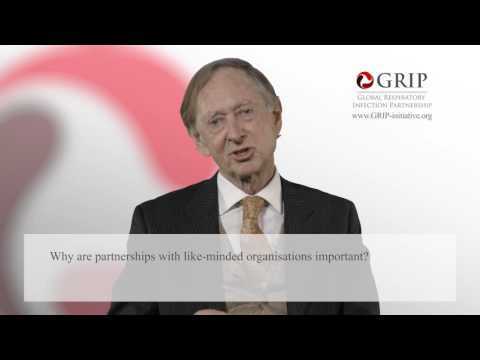 Interview with Professor John Oxford, Emeritus Professor of Virology at St Bartholomew's and the Royal London Hospital, UK, on the advantages of organisations working together with different approaches. Interview with Dr Ashok Mahashur, President of the Indian Chest Society and Consultant Chest Physician in Mumbai, India, discussing symptomatic relief as an alternative to antibiotics. Interview with Dr Ashok Mahashur, President of the Indian Chest Society and Consultant Chest Physician in Mumbai, India, discussing policy changes that would prevent inappropriate antibiotic prescriptions. Interview with Dr Ashok Mahashur, President of the Indian Chest Society and Consultant Chest Physician in Mumbai, India, on the current level of antibiotic use for treating URTIs. Interview with Dr Douglas Burgoyne, President of Veridicus Health, discussing the role that insurance companies can play in educating consumers and communicating with prescribers about appropriate antibiotic use and effective symptomatic relief options. 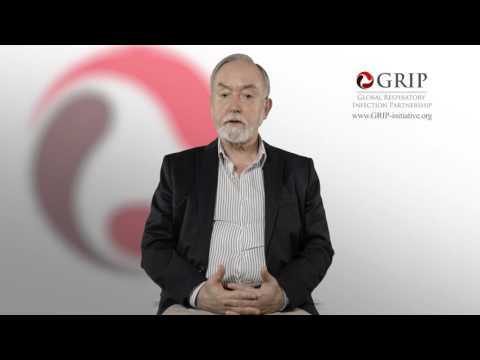 Interview with Dr Douglas Burgoyne, President of Veridicus Health on the benefits of symptomatic relief for the treatment of URTIs. Interview with Professor Antonio Carlos Pignatari, Professor of Infectious Diseases and Director of the Special Clinical Microbiology Laboratory of the Division of Infectious Diseases at the Federal University of São Paulo, Brazil, about the government-supported AMR programme. Interview with Professor Antonio Carlos Pignatari, Professor of Infectious Diseases and Director of the Special Clinical Microbiology Laboratory of the Division of Infectious Diseases at the Federal University of São Paulo, Brazil, discussing the importance of collaboration between private and public organisations in addressing antimicrobial resistance. 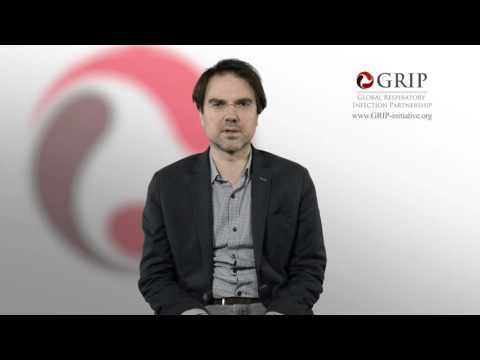 Interview with Professor Attila Altiner, Head of the Institute of General Practice at the University of Medicine, Rostock, Germany, discussing the role of CENTOR and other strategies for deciding the most appropriate management of URTIs. Interview with Professor Attila Altiner, Head of the Institute of General Practice at the University of Medicine, Rostock, Germany, about the management of patients' treatment expectations. Interview with Professor Roman Kozlov, Director of the Institute of Antimicrobial Chemotherapy at the Smolensk State Medical Academy discussing a novel educational campaign targeting appropriate antibiotic use for pharmacists and the general population. Interview with Dr Alike van der Velden, Assistant Professor at the University Medical Center Utrecht, Netherlands, on when a doctor can recommend antibiotics to treat upper respiratory tract infections.